Today in this guide we are going to show how you can make dangerous virus by just copy and paste. You don't need to download any software to make them. Inbuilt notepad in your Windows is enough. Computer virus is nothing a bunch of code. You can write them in notepad and then just save and execute. Viruses are created using Batch programming. Always remember don't ever try to run them on your personal system otherwise it would destroy your computer completely. Protection from virus is also a part of virus creation. 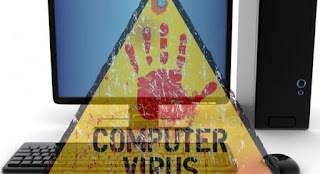 We've listed different types of viruses to destroy hard disk, block, CD drives, disable USB ports and much more. Save the file as virus.bat. That's it, just run the file and see the magic. It will delete all the content of C Drive. Copy and paste the code in notepad. Save the file as disablemouse.bat and execute it. Copy below code and save it as DisInt.bat. Copy and paste the code and save the file as crash.bat. Save the file as anything.bat. Just save it as popout.bat. Now save it as dancecap.bat. Save the code as endenter.bat. So that's it. Go and destroy your friends computer. But always beware don't use them on your personal system.